Disclosure: I received a Punk Speaker to facilitate this review. 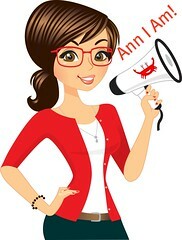 Links in this post may contain affiliate links. Sometimes, you want to take your music with you, outside of your ears. No longer do you have to carry the big boom box on your shoulder to have your music dominate. 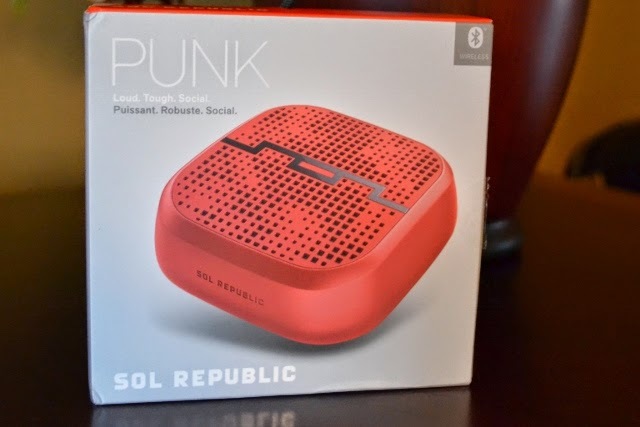 Sol Republic's Punk Portable Bluetooth Wireless speaker is the perfect tool for this. 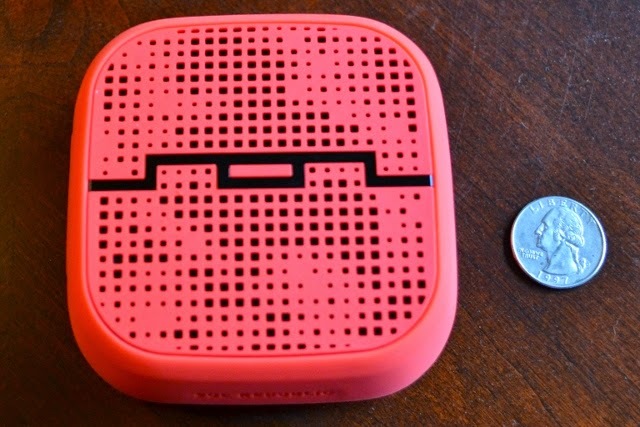 Just a bit larger than 5" x 5", the Punk delivers great sound. Crank it up to get the party started! Cool features include being water-resistant (great for outdoors and around the pool), shock resistant and has a thread mount for your bike. The wireless Bluetooth registers up to 60 yards away! And the battery lasts 8 hours before needing recharged. It is super easy to connect. Charge it up, turn it on, press the blue tooth button and voila! You can even connect to any non-Bluetooth audio device using the included 3.5mm cable. It comes in black, blue and red. Do I like this little speaker? The answer is a definitely no--I LOVE it! It is so little and cute but has powerful sound. How could I not love it? This great speaker sells at Amazon.com right now for just $55.56, regularly $69.99. Or you can try to win one by entering the giveaway below. I enjoy country music the most. I like all kinds of music, but I most enjoy classic rock and roll. I normally listen to a variety of rock music. I like to listen to pop music the most. I love 70s and 80s.